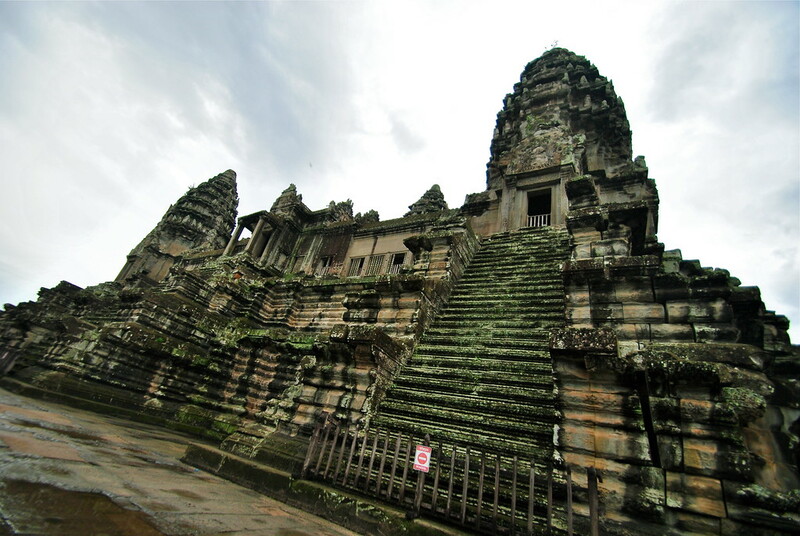 The Khmer Temples of Angkor Wat! Day 2 of our Angkor Wat adventure was sunrise day! A must do apparently, watching the sun rise over the back of Angkor Wat, its five lotus leaf towers revealing themselves through the haze of the morning. Up and out at 5am, we zoomed through the dark on our tuk tuk towards Angkor Wat. Day 1 at Angkor Wat had been fantastic, day 2 had much to live up too! Unlike our experience of sunrise over Machu Picchu, today wasn’t our day. It was cloudy, it was cold and it was raining! Luckily this meant for the rest of the day the temples were relatively quiet, a result for us! 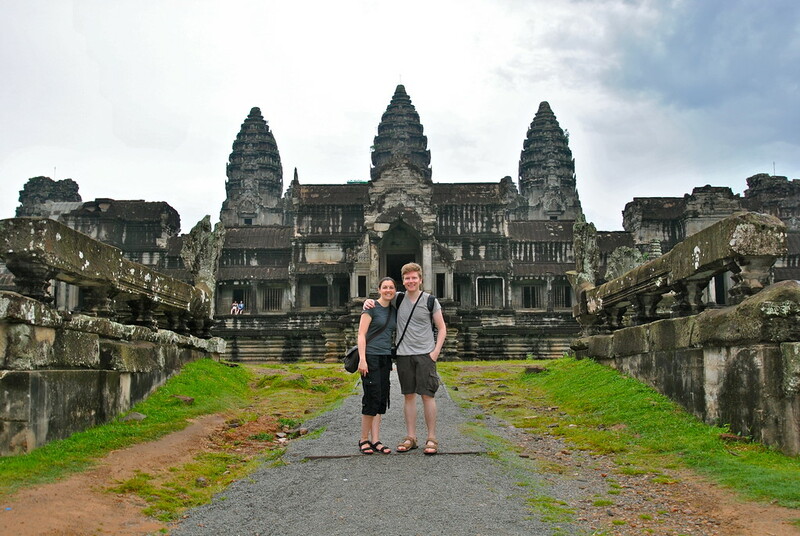 First up was the famous Angkor Wat temple, the pinnacle of temples in Cambodia and arguably South East Asia. 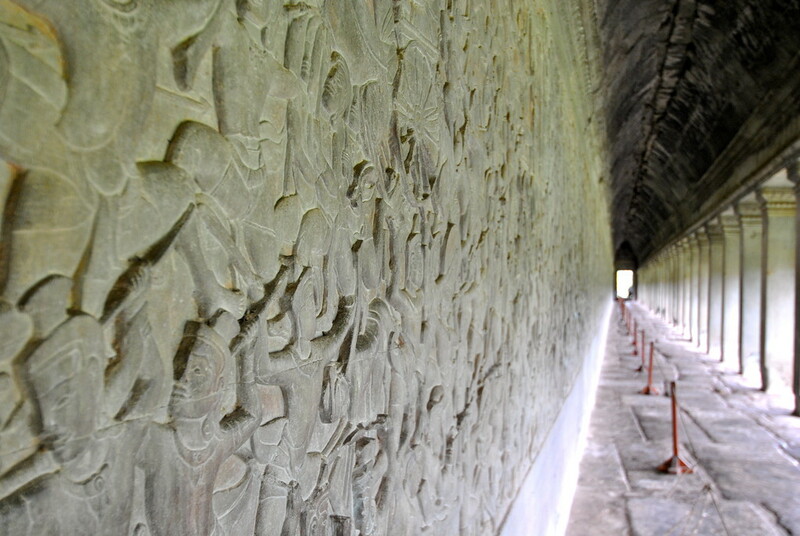 We were blown away by the size of it, and the level of intricate detail that had gone into every stone, of every corridor throughout the complex. The outer wall alone is 3.6 kilometres long, with an inner moat running round the entire complex, Angkor Wat is incredibly impressive. We spent three hours in the temple, climbing up to the various different levels of the temple, from ground level (above) to the first level courtyard (below). We then climbed to the top of Angkor Wat and spent some time looking around the upper gallery at the centre of the temple. After three hours at Angkor Wat, it was time to move onto the temple we were most excited about seeing: the Bayon temple. 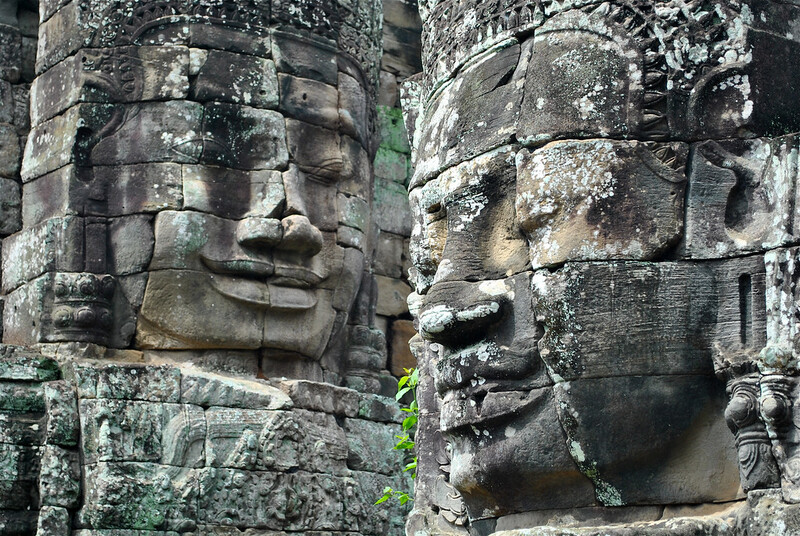 With 37 gothic towers and approximately 200 faces staring into the jungle, the Bayon temple was intended to intimidate those who came across it. We were fascinated by the huge faces carved into stone, and as we walked through the temple the knowing smile of the carvings loomed over us. No matter where we looked, there was one looking back at us, we loved it. After marvelling at the Bayon temple, it was time to visit the largest 3D jigsaw puzzle we’ve ever encountered: the pyramid shaped temple of Baphuon. 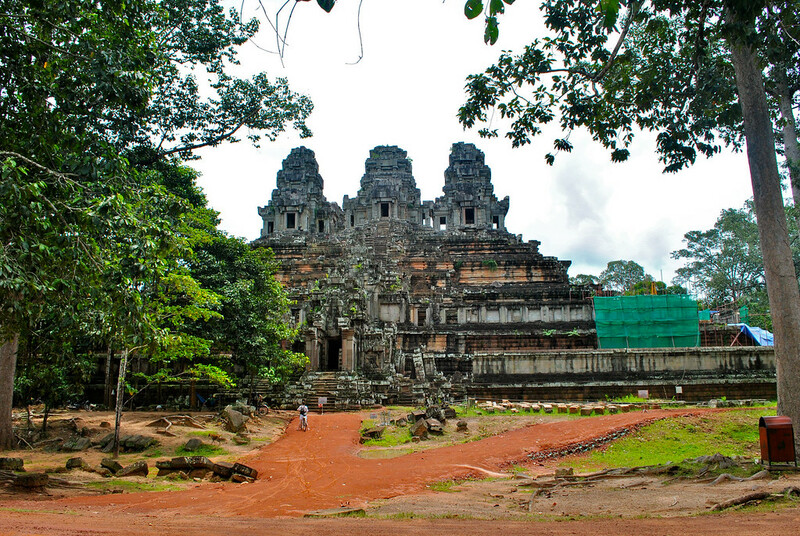 By the 20th century, the temple was largely in ruins, and a restoration programme was started to restore it to its former glory. The temple was taken apart, and the stones documented in preparation for the rebuild. Unfortunately, with the rise of the Khmer Rouge, all records of the stones and their location were destroyed, and it wasn’t until 1995 that the restoration was able to begin from scratch, without a guide on where any of the 300,00 stones were to go. Puts my annual Christmas jigsaw efforts to shame really. 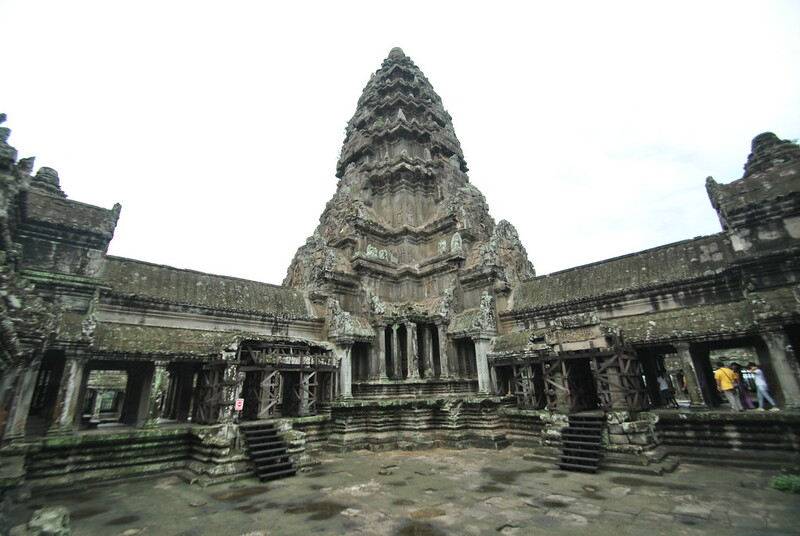 Ta Keo was next on our plan (above) and we stopped briefly to admire the temple and its restoration work before moving onto the final temple of our trip, the Tomb Raider temple of Ta Prohm. Ta Prohm is the temple featured in the Tomb Raider movie; the all conquering roots battling against the ancient Angkor buildings. This was a much smaller temple, and we spent an hour walking through the ruins and roots. After hour seven of day 2, melting in extreme heat, we had had enough! The temples are incredibly interesting but we were exhausted after two full days of wandering through the temples of the complex. Just after lunch, we called it a day and headed back to Siem Reap for a shower and out for some well earned food and drinks! 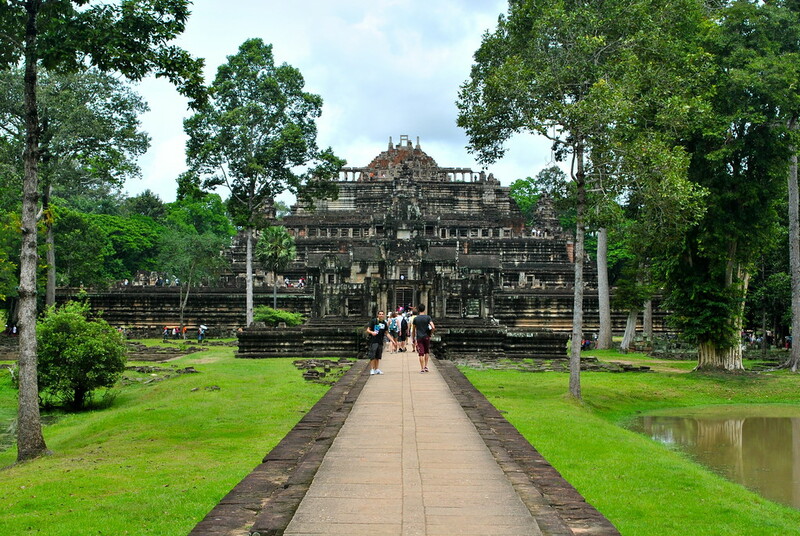 Angkor Wat is an incredible place, and you will need at least two days to see the sights. 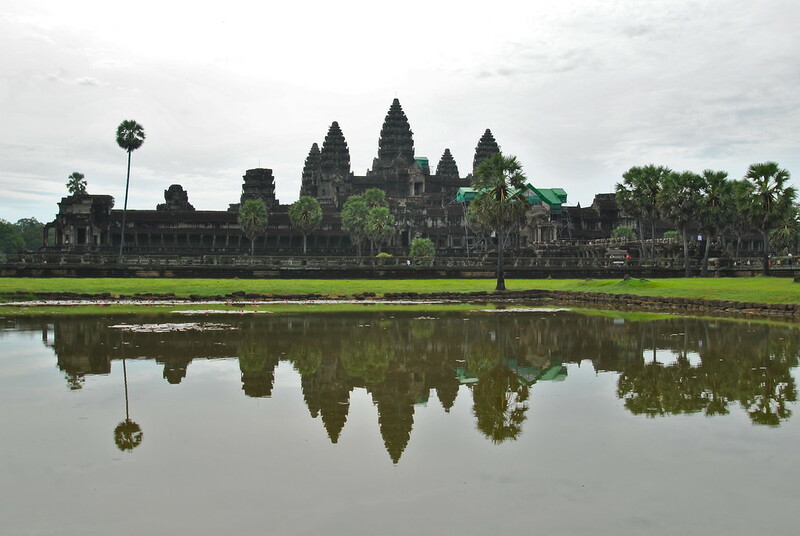 The majority of tour operators will recommend three days to see Angkor Wat, and whilst we agree it takes that long, we didn’t want to do a third day there as we were ‘templed out’ by the end of the second day! 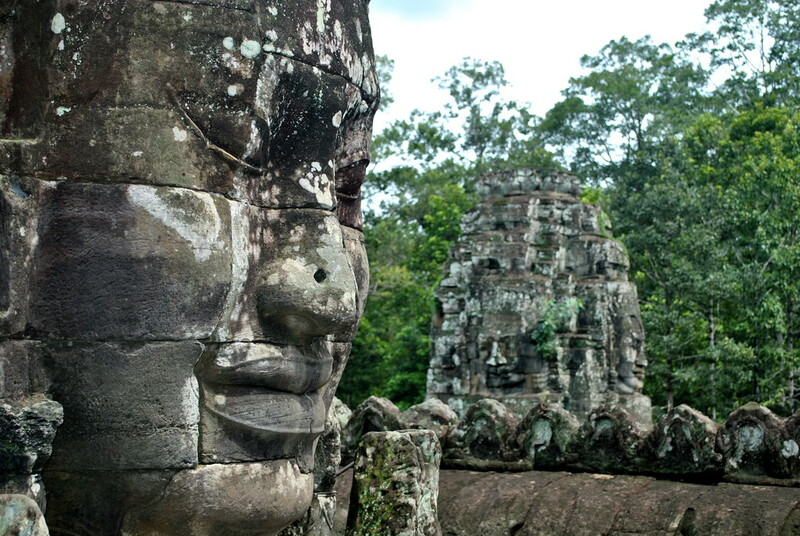 For those who are making a special visit to Angkor Wat, three days would be perfect. For those travelling through South East Asia who have already seen a few temples before Cambodia, two days is probably enough! Either way don’t miss it. Hi Barry & Laura, loving travelling the world from my armchair by proxy through you Guys! Where are we going next? Great that you are you are having such a ball living the dream. incidentally Andrew & I completed our own mini adventure last month and pleased to say Picchu didn’t prove too macho for us! Great to hear Hugh, and glad you enjoyed Machu Picchu! We’re in New Zealand currently and off to Chile in a few weeks! We love receiving all your news. What a fantastic experience you are having. A wee bitty spooky!!!! So amazing that there are places in the world like that this…. great tips guys, another on my list to do, was suppose to go there November but had 3 weeks of chilling in South Goa, needed the rest as not as young as you Two. 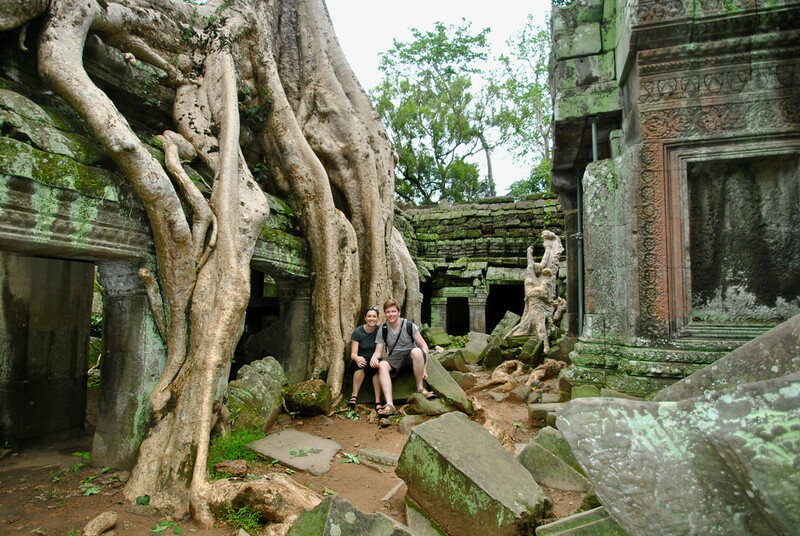 Thanks Brez, the temples are great and you can really get lost in the complex and find your own private spot. Goa is a nice alternative though haha!